When it comes to developing better resilience in the face of uncertainty and failures, both self-awareness and political awareness are key. Whereas self-awareness helps you understand the messages you’re sending, political awareness helps you understand the messages others are receiving. It requires you to know how your organization defines, explains and assigns responsibility for failure, as well as how the system allows for remedial attempts. When I'm coaching executives, (coaching4ldrs.com) we work a lot on developing personal awareness. Personal awareness involves finding the right way to approach mistakes within your organization and understanding your role. This process includes soul care. Taking time with God to explore where we fall short is the road to humility which often is the character trait necessary as a foundation for bouncing back. Once you’ve become more aware of your failure response style (and your bad habits), you can move toward more open and adaptive behaviors. Business consultants Ben Dattner and Robert Hogan suggest several effective steps in “Can You Handle Failure?” (Harvard Business Review, April 2011). · Listen and communicate. Most of us forget to gather enough feedback and information before reacting, especially when it comes to bad news. Never assume you know what others are thinking or that you understand them until you ask good questions. · Reflect on both the situation and the people. We’re good at picking up patterns and making assumptions. Remember, however, that each situation is unique and has context. · Think before you act. You don’t have to respond immediately or impulsively. You can always make things worse by overreacting in a highly charged situation. · Search for a lesson. Look for nuance and context. Sometimes a colleague or a group is at fault, sometimes you are, and sometimes no one is to blame. Create and test hypotheses about why the failure occurred to prevent it from happening again. What do you tell yourself when you goof? Did you know we have a default explanatory style? Leave it to the psychologists and social scientists to study this one! Actually, people working with clients in a managing or coaching role (coaching4ldrs.com), as I do, hear how individuals explain what happens to them frequently enough to spot such patterns. 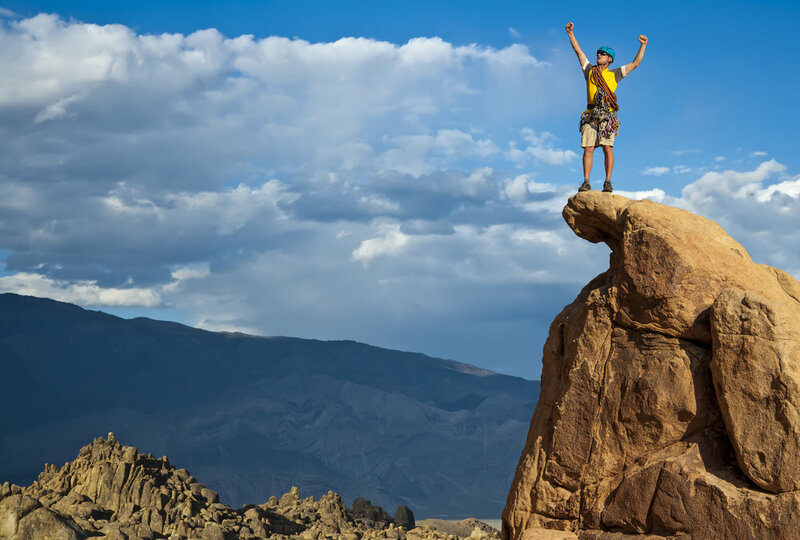 Research clearly demonstrates that people who are naturally resilient have an optimistic explanatory style—that is, they explain adversity in optimistic terms to avoid falling into feelings of helplessness. The scientist who's studied this the most is University of Pennsylvania psychology professor Martin P. Seligman. He believes most people can be immunized against the negative thinking habits that may tempt them to give up after failure. In fact, 30 years of research suggests that we can learn to be optimistic and resilient—often by changing our explanatory style. Seligman is currently testing this premise with the U.S. Army’s Comprehensive Soldier Fitness program, a large-scale effort to make soldiers as psychologically fit as they are physically fit. One key component is the Master Resilience Training course for drill sergeants and other leaders, which emphasizes positive psychology, mental toughness, use of existing strengths and building strong relationships. This military program will no doubt provide insights for civilians who wish to become more effective within their workplaces and organizations. Resilience training may be able to prevent traumatic stress disorders for soldiers. I wonder what it can do for stressed out executives. Your comments welcome; what do you think? · Herb Kelleher, founder of Southwest Airlines, believed air travel should be fun and accessible to everyone. · Apple’s Steve Wozniak thought everyone should have a computer and, along with Steve Jobs, set out to challenge established corporations’ status quo. · Wal-Mart's Sam Walton believed all people should have access to low-cost goods. · Starbucks’ Howard Schultz wanted to create social experiences in cafés resembling those in Italy. · In what way can you make a difference through company products and services? · How can you express what truly matters in the work you do? · In what ways can you make a difference in the world through the people you work for and with? I challenge you to think long and hard about both your personal sense of purpose, and your organization's purpose where you work. Do you see ways of aligning them? It certainly takes work to think through these concepts. The reward is a self-renewing source of energy for you and your team. The invitation into the spiritual realm takes the thinking to a whole new level. Embrace the challenge of finding your pathway to energy and renewing the enthusiasm you probably felt in the early days on the job. If you struggle with finding purpose, I suggest getting a good coach who can help you find more fulfillment and meaning in how you spend your days. Want to Inspire? Start with WHY! Looking at mission statements is a great way to start your journey. Consider this mission statement by a large grocery chain: "Our goal is to be the first choice for those customers who have the opportunity to shop locally in [our stores]. To achieve this goal [we] aim to be best at fresh, best at availability, best at customer service, best at product and price." "To help consumers find foods that offer more nutrition for the calories as they make choices in each department of our stores, thereby helping food shoppers make healthier choices." Which statement do you find more engaging? If your mission statement isn't compelling and engaging, you can't expect employees to care, can you? If you don’t know and cannot communicate why you take specific actions, how can you expect employees to become loyal followers who support your mission? I have found that there are great tools and prompts to help moving your thinking forward. A favorite tool that I use is The One Page Business Plan which offers a process and prompts to move leaders forward as they lean into the power of why for themselves and those they lead. I'd love to hear from you: what's been your experience with the mission statements of the companies you've worked for? 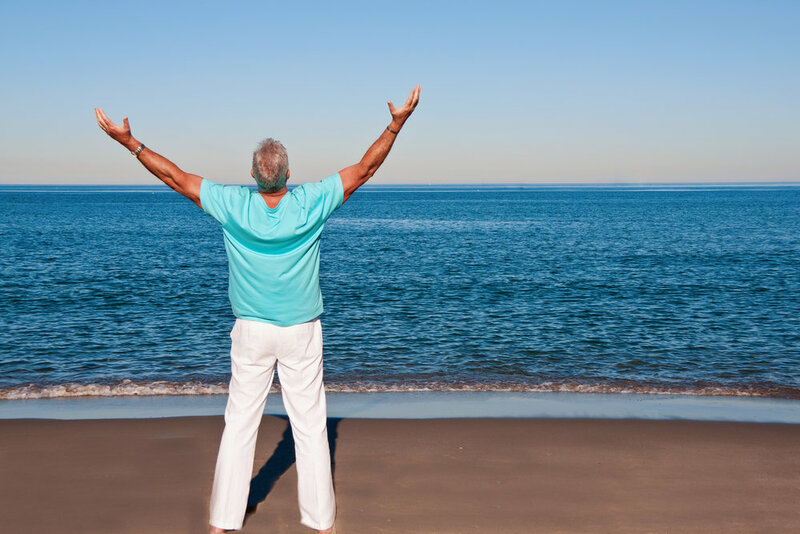 Finding a Business Purpose - Remember God! The more I speak with people (coach4ldrs.com) working hard in organizations, the less I see a "9 to 5" mentality. As work evolves in the 21st century, separating our professional and personal lives proves to be an artificial divide. Your personal purpose influences your work purpose, and vice versa. The opportunity to connect how you were made and the work that you do may reveal new exciting vistas of meaning. A company’s purpose (Why Am I Here?) starts with its leaders and works its way through the organization. It shows up in products, services, and employee and customer experiences. It shows up in relationships with stakeholders: employees, customers, vendors, investors and more. The mindset of you were made to work and finding that work with an eternal perspective is the doorway to freedom and joy. 2. Review successes. At what does the business excel? 4. What won’t your organization do? Review false starts and failures. 6. Talk to top leaders. 7. Talk to high performers. 10. Explore Bigger Purpose Ideas – Why does God have you here? A purpose is informed by the world’s needs. When you build an organization with a concrete purpose in mind — one that fills a real need in the marketplace — performance will follow. · Why does your organization do what it does? · Why is this important to the people you serve? · Why does your organization’s existence matter? · What is its functional benefit to customers and constituents? · What is the emotional benefit to them? · What is the ultimate value to your customer? · What are you deeply passionate about? · At what can you excel? · What drives your economic engine? Having a purpose provides context for all of one’s efforts, and it’s a chief criterion for “flow”—the energy state that occurs when one’s mind, body and entire being are committed to the task at hand. Flow turns mundane work into completely absorbing experiences, allowing us to push the limits of skills and talents. · Why are we in business? · What difference do we want to make in the world? · What’s our most important purpose? On some level, everyone wants to live a purposeful life, yet we are distracted by societal pressures to achieve wealth and prestige. There are indications, however, that this is changing. Just as GNP fails to reflect the well-being and satisfaction of a country’s citizens, a person’s net worth actually has little to do with personal fulfillment. The thinking around purpose is energized when centered in a Christian context. As believers we are certain there is an eternal meaning in all we do, which of course includes our work. Remember the classic Your Work Matters to God. When we allow ourselves to see our work with and eternal perspective the possibilities are endless. What's been your experience? I'd love to hear from you, leave a comment. Top executives erroneously look to the competition when making decisions, rather than making up their own minds about what really matters. This lack of clarity leads to poor business decisions and failed product launches. Employees who work without purpose experience the consequences. Put simply, satisfied and engaged employees perform better. In a Towers Watson study of roughly 90,000 employees across 18 countries, companies with the most engaged employees reported a 19% increase in operating income and 28% growth in earnings per share. Companies whose employees had the lowest level of engagement had a 32% decline in operating income and an 11% drop in earnings. People enjoy being engaged in meaningful work (Meaning Vs Happiness – Fast Company) Humans, by nature, are a passionate species, and most of us seek out stimulating experiences. Companies that recognize this and actively cultivate and communicate a worthwhile corporate purpose become employers of choice. A major Gallup Organization research study identified 12 critical elements for creating highly engaged employees. About half deal with employees’ sense of belonging. One of the key criteria is captured in the following statement: “The mission or purpose of my company makes me feel my job is important.” (TED Talk – Simon Sinek “Start With Why) After basic needs are fulfilled, an employee searches for meaning in a job. People seek a higher purpose, something in which to believe. If, in your role as a leader, you aren’t articulating what you care about and how you plan to make a difference, then you probably aren’t inspiring full engagement. This holds true for you as a leader as well. Anchoring your WHY for you as the leader will ignite your passion. In the work I do (Coach4ldrs.com) this is a major concern for people: they either aren't sure what it is that their own true purpose is, or they are not sure what their organization's is. Coaching is designed to help people find the connection between job requirements and fulfillment and meaning. I call this your DECLARATION. What are you passionate about that will motivate you to change for your best? This is a process that creates great momentum in life and work. If you aren't clear, ask your coach for help in finding answers. And if you need help in finding the right coach, let me know. · In Built to Last, James Collins and Jerry Porras reveal that purpose- and values-driven organizations outperformed the general market and comparison companies by 15:1 and 6:1, respectively. · In Corporate Culture and Performance, Harvard professors John Kotter and James Heskett found that firms with shared-values–based cultures enjoyed 400% higher revenues, 700% greater job growth, 1,200% higher stock prices and significantly faster profit performance, as compared to companies in similar industries. · In Firms of Endearment, marketing professor Rajendra Sisodia and his coauthors explain how companies that put employees’ and customers’ needs ahead of shareholders’ desires outperform conventional competitors in stock-market performance by 8:1. This author makes some very good points backed up with real examples of some of the most effective companies in the world. In the work I do with people in organizations, so often I find that there's confusion over what's really important. While a well-designed strategy and its effective implementation are required for business success (coach4ldrs.com), neither inspires followers to maintain engagement during troubled times. Purpose must tap into people’s hearts and help them give their best when the chips are down. It's up to leaders to find that spark that can light up the hearts and minds of employees at all levels. And, it's also up to each of us to find that inner purpose that's the guiding light for our energy. Purpose is an energy source that sustains us through and motivates us forward. Coaching (coach4ldrs.com) can help find it if you haven't already identified and articulated it for yourself. Remember God made you for a purpose. Our journey is seeking that with Him. How can busy managers bring out the best in people (Best Part 2) Nothing is as difficult as managing people in uncertain times. With the rapidly changing competitive environment and new technologies, it’s hard to keep up. 1. Select: Put the right people in the right job, and give them responsibilities that “light up” their brains. 1. Connect: Strengthen interpersonal bonds among team members. 2. Play: Help people unleash their imaginations at work. 3. Grapple and Grow: When the pressure’s on, enable employees to achieve mastery of their work. 4. Shine: Use the right rewards to promote loyalty and stoke your people’s desire to excel. Managing people well is even more challenging when you’re constantly putting out fires. You can't sacrifice performance in the name of speed, cost cutting, efficiency, and what can be mislabeled as necessity. When you ignore connections, deep thought disappears in favor of decisions based on fear. These five areas of focus can help you avoid fear-based management practices. Use these five steps to identify problem areas and decide on a plan of action. In this way you creatively manage for growth, not just survival. 1. Get enough sleep: Sleep deprivation can leave one feeling scatterbrained, foggy and unfocused. Good sleep improves our ability to be patient, retain information, think clearly, make good decisions and be present and alert in all our daily interactions. 2. Get daily exercise: Exercise is the best way to reduce the stress that impairs performance stamina. Exercise increases our “happy” mood chemicals through the release of endorphins, which help rid our mind and body of tension. 3. Connect for emotional support: Having healthy, loving relationships increases our happiness, success and longevity by promoting the capacity to function in life as our best self. 4. Be unapologetically optimistic: Look for the best in every situation. Optimism is the commitment to believe, expect and trust that things in life are rigged in our favor. Even when something bad happens, find the silver lining. 5. Create alone time: Time spent alone for reflection refuels our physical, mental, emotional and spiritual self. This is time to recharge, focus on values and purpose, and cultivate self love and respect. As you reflect on these ideas of sleep, exercise, emotional support, optimism and solitude remember that you and those you lead were the greatest creation of the Creator of all. There is a rhythm to life and we are given guidance on how to stay healthy, wealthy and wise throughout the Bible. The Shine ideas are good and reinforce ideas that have been around for thousands of years. In my last post (Using our BRAIN), I talked about research from brain science psychiatrist Dr. Edward Hallowell. In his book, Shine: Using Brain Science to Get the Best from Your People, he suggests five steps to bring out the best in people. I wrote about Step 1: Select (Bring the BEST) the importance of putting the right people in the right job and Step 2: Connect: the importance of trusting relationships to bring out the best in people. Here are the last three steps. Play isn’t limited to break time. Any activity that involves the imagination lights up our brains and produces creative thoughts and ideas. Play boosts morale, reduces fatigue and brings joy to workdays. · Encourage everyone to produce three new ideas each month. · Allow for irreverence or goofiness (without disrespect), and model this behavior. · Reward new ideas and innovations. · Encourage people to question everything. Help people engage imaginatively with tasks they like and at which they excel. Encourage them to stretch beyond their usual limits. If tasks are too easy, people fall into boredom and routine without making any progress or learning anything new. Your job, as a manager, is to be a catalyst when people get stuck, offering suggestions but letting them work out solutions. Every employee should feel recognized and valued for what he or she does. Recognition should not be reserved solely for a group’s stars. People learn from mistakes, and they grow even more when their successes are noticed and praised. Letting them know that you appreciate victories large and small will motivate them and secure their loyalty. · Be on the lookout for moments when you can catch someone doing something right. It doesn’t have to be unusual or spectacular. Don’t withhold compliments. · Be generous with praise. People will pick up on your use of praise and start to perform for themselves and each other. · Recognize attitudes, as well as achievements. Optimism and a growth mindset are two attitudes you can single out and encourage. Look for others. When you’re in sync with people, you create positive energy and opportunities for peak performance. Working together can be one of life’s greatest joys—and it’s what we’re wired to do. God created people to be creative and the experience of doing that in relationship with others creates a glue for the good times and the times of challenge. In what ways do you encourage imaginative thinking? Are you providing just the right amount of challenge so that people aren't bored? And— this is often the most difficult for busy managers— are you providing enough positive feedback? How can you be sure to bring out the best in people (Reality is Our Friend Blog) If you're on a team and responsible for results, you know how hard it can be to get everyone engaged and pulling in the right direction. Energy sprays every which way and then fades like Champagne bubbles. In my last post, I talked about research from brain science psychiatrist Dr. Edward Hallowell. In his book, Shine: Using Brain Science to Get the Best from Your People he suggests five steps to bring out the best in people. Here are the first two. 1. At what tasks or jobs does this person excel? 2. What does he/she like to do? 3. How does he/she add value to the organization? Set the stage for your employees to do well with responsibilities they enjoy. You can then determine how they will add the greatest possible value to your organization. The resource that is the best for employee selection is a screening tool developed by Wiley. The profile surfaces how a candidate thinks, acts and what their interests are and shows alignment with successful individuals in that specific job. The odds of being the right fit increases dramatically. This concept of right people in the right job is a way of honoring the way God made individuals. Taking the time and making the investment honors God and people. Managers and employees require a mutual atmosphere of trust, optimism, openness, transparency, creativity and positive energy. Each group can contribute to reducing toxic fear and worry, insecurity, backbiting, gossip and disconnection. A positive working environment starts with how the boss handles negativity, failure and problems. The boss sets the tone and models preferred behaviors and reactions. Employees take their cues from those who lead them. · Look for the spark of brilliance within everyone. Each individual is created by God! · Encourage a learning mindset. · Model and teach optimism, as well as the belief that teamwork can overcome any problem. · Use human moments instead of relying on electronic communication. · Learn about each person. · Treat everyone with respect, especially those you dislike. · Meet people where they are, and know that most will do their best with what they have. · Encourage reality. Reality is our friend and where we meet God. · Use humor without sarcasm or at others’ expense. · Seek out the quiet ones, and try to bring them in. This is common sense, but we fail to use it when it is really required. When people are floundering, the last thing they need is to have their flaws and mistakes spotlighted. Instead, make sure you understand where they are at and what the real problems are. Be generous with your time, energy, and your words. Look for what they are doing right. Most people have talent but often don't realize it themselves. A great resource for the power of encouragement is Extraordinary Influence by Dr. Tim Irwin. This book could change your life and the lives of those you lead. This area of connecting again reflects the core of God as a relational being! God's perfect relationship of the Trinity is a call for us all towards better relationship by seeking to know others and allowing ourself to be know. What are you doing to bring out the best in people for peak performance (Developing Perseverance Blog Post)? While no management guru has found the golden key to unlocking the full panoply of human potential at work, research sheds new light on the possibilities. The situation isn't improving. In 2014, 52.3 percent of Americans said they were unhappy at work, according to a report by the Conference Board, the New York-based nonprofit research group. When so many skilled and motivated people spend decades moving from one job to the next, something is wrong. They clearly have not landed in the right outlets for their talents and strengths. Their brains never light up. The better the fit, the better the performance. People require clear roles that allow them to succeed, while also providing room to learn, grow and be challenged. Dr. Edward M. Hallowell, author of Shine: Using Brain Science to Get the Best from Your People (Harvard Business Press, 2011), synthesizes some of the research into five steps managers can apply to maximize employees’ performance. 2. Connect: Strengthen interpersonal bonds among team members. 3. Play: Help people unleash their imaginations at work. 4. Grapple and Grow: When the pressure’s on, enable employees to achieve mastery of their work. 5. Shine: Use the right rewards to promote loyalty and stoke your people’s desire to excel. God designed us to proper in out work and as leaders we have a responsibility to seek to understand those that we lead and make sure they are in the right spot – inspired – growing and effective. 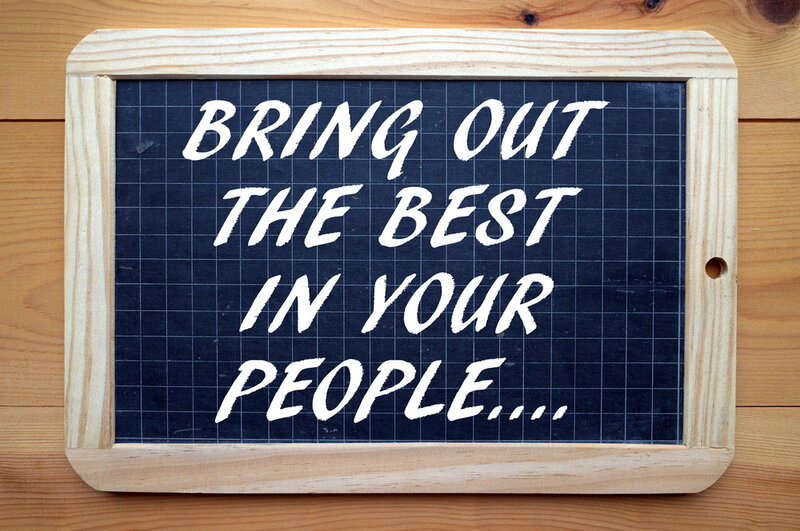 How do you bring out the best in people? Managers want their people to achieve excellence at work. Leaders and management alike know that they can't achieve expected business results without the participation and engagement of individuals and teams. To achieve peak performance, one must find the right job, tasks and conditions that match his or her strengths. Therefore, facilitating the right fit becomes one of a manager’s most crucial responsibilities. While every employee has the potential to deliver peak performance, it’s up to the manager to bring out the best in people. This process aligns with the idea that every person is uniquely made. The leader’s role starts with valuing people because they were made in the image of God. However they are not God and leaders need to align who they are and what they do. Disengaged employees often appear to lack commitment. In reality, many of them crave engagement. No one enjoys working without passion or joy. While many factors cause disengagement, the most prevalent is feeling overwhelmed—or, conversely, underwhelmed. Disconnection and overload pose obstacles to performance, yet they often go undetected or ignored because neither qualifies as a disciplinary issue. While it’s impossible to create “flow” moments all day long, any manager can greatly improve on the ability to help people achieve peak performance. Traditionally managers try various motivational methods, such as incentives and rewards, but with only temporary success. You can’t force peak performance with knowledge workers—those employees who need to think to do their jobs. The brain needs careful management and rest. Brain science tells us that knowledge workers must manage their critical thinking skills with care. In addition to variety and stimulation, all humans require food, rest, engagement, physical exercise and challenge. It is unrealistic to expect a human being to sit at a desk for hours and produce quality work without providing these essential elements, and more. I’ve been doing some reflecting on leaders who persevere. The persevering leaders I’ve met in business and non-profit stand out from the rest: they have a significant impact, usually without commanding the limelight or fanfare. Their energy and attitude are distinct—sometimes refreshing, sometimes demanding. They fall into several categories, each one a vital part of an organization’s path through challenging times. I wrote about this category in my last post. I have found that older leaders are generally wiser, steadier, more focused and more familiar with the causes of success or failure. With age come wisdom, clarity and more discernment over what corrections need to be made at the corporate level. Mature leaders have greater self-awareness. They know their weaknesses and strengths, and how to fine-tune them for specific circumstances. They’re more diligent about making solid commitments and strive for the highest levels of accountability. They act responsibly and do what’s expected of them. They recognize the need for perseverance. Passion is another key ingredient for success. Blend passion with perseverance, and you’ll reap optimal rewards, notes Angela Duckworth, in Grit: The Power of Passion and Perseverance (Scribner, 2016). Loving what you do makes you more determined and creative. You’ll experience greater curiosity and challenge yourself to make improvements. If you fuel your passion, you’ll enjoy a stable career, with an even greater platform to contribute. Leaders with passion for their work generate many ideas, and they’re likely to see them take shape. They persevere through many attempts at achieving success, adjusting along the way. Disciplined leaders are driven to persevere and always apply their best effort, day in and day out. They achieve a great deal, even in tumultuous times. Duckworth’s research on leadership shows effort to be a driving force that’s even more critical than skill. Many people have considerable skills but fail to persevere. The literature is rife with stories of successful leaders who didn’t have the greatest skills, but accomplished the seemingly impossible through valiant effort. Disciplined leaders want to continuously improve and develop a skill until they’ve mastered it. They’ve learned to withstand defeats because giving up is unacceptable to them. They persevere instead. Leaders who establish a purpose for their work experience a calling for what they do. They feel the need to contribute to something bigger than themselves. When their company improves because of their efforts, the results fulfill them. They benefit others, add value and enjoy the outcome. Leaders driven by purpose don’t view failure as the larger culture does. Failure isn’t to be avoided at all costs, but is a part of learning, with no cause for fear. Perseverance is more attainable when setbacks have no effect on one’s calling. Circumstances may change, but a purpose-driven leader’s calling doesn’t. Positive leaders know they can improve their circumstances. They envision a better future and wholeheartedly pursue it. They embrace challenges, knowing they’ll learn something significant. Positive leaders see a benefit in each step taken, even when some are backward. They’re confident that diligent effort pays off, and they persevere through storms because they know there’s sunshine on the other side. 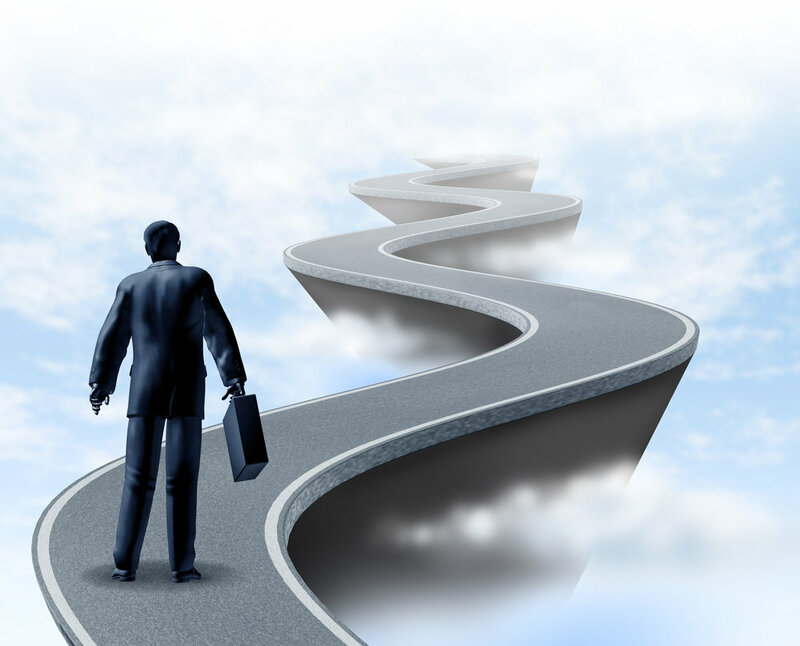 Do you find yourself frequently changing course midstream, altering your goals as you go? Are you prone to disillusionment when things go awry? Do you lose interest in long-term projects? If so, you may lack the power to persevere. (Power of Perseverance Blog) When situations get tough, your organization may lose money, people, and direction. Alternatively, persevering leaders grow their interests and remain focused on them. Their consistent pursuit of gains moves them through the roadblocks that stymie more passive leaders. When you persevere, you’re not as bothered by setbacks or letdowns. You’re motivated to embrace and overcome them. There are myriad business success stories about leaders who had a persevering spirit and led their companies through crisis, bankruptcy or startup hardship. Steve Jobs and Lee Iacocca had the stamina to save Apple and Chrysler, respectively, from bankruptcy. Jeff Bezos endured the long startup struggle at Amazon. Dan Hesse led Sprint out of the gaping jaws of killer competitors. Not all stories are this dramatic, but the principles of perseverance equally apply. Every company faces trials that call for persevering leaders. Biblical leaders that persevered are numerous and brings to mind names such as Moses, David, Joseph, Job, Paul and so many more. When I look at marketplace leaders and faith leaders, I see both have a strong commitment to their big “WHY.” The sweetest spot in my life has been when the big “WHY” is a godly centered and core to an enterprise delivering an excellent product or service. Persevering leaders stand out from the rest and have a significant impact, usually without commanding the limelight or fanfare. Their energy and attitude are distinct—sometimes refreshing, sometimes demanding. They fall into several categories, each one a vital part of an organization’s path through challenging times.